“Pinder in her testimony told lawmakers that more California residents are ‘actually shopping for health care.’ ” California Healthline, California State Senate hearings on health care prices. “Lowering health care costs: Some benevolent geniuses are on it,” Ester Bloom, The Billfold. “The cash price for a lower-back MRI without dye ranges from $475 at the Castro Valley Open MRI to a whopping $6,221 at the University of California, San Francisco at Mt. Zion.” Jayne O’Donnell, “Huge health care price differences,” USAToday. “When people see this data, [Pinder] says, ‘they don’t behave the same way in the marketplace again.’” Melinda Beck, “How to Cut Your Health Care Bill: Pay Cash,” The Wall Street Journal. “It is time to take off the blindfold and embrace transparency in pricing for medical care and services.” Lisa Aliferis, our PriceCheck partner, “Variation in Prices for Common Medical Tests and Procedures,” JAMA Internal Medicine. “I hope to continue to see these programs expand as part of an effort to provide essential information for patients and clinicians to make wise and informed choices in health care.” Rita F. Redberg, MD, MSc, “A New Program for Sharing Medical Cost Information,” Editor’s Note, JAMA Internal Medicine. April 7: “Cracking the Code” wins awards in Investigative/Public Service and Public Affairs categories at the Louisiana-Mississippi Associated Press Broadcasters and Media Editors awards ceremony. Dec. 3: “Cracking the Code” wins an Emmy. Sept. 21: “’The Internet hates secrets’: Clear Health Costs works with newsrooms to bring healthcare costs out of hiding,” Laura Hazard Owen, NiemanLab. Sept. 14: “Health care costs: A problem hiding in plain sight,” Health News Review podcast. Aug. 29: “How ClearHealthCosts helped New Orleans newsrooms save money for readers,” Bianca Fortis, Mediashift. Aug. 27: Interview with our partner Lee Zurik on Harry Shearer’s “Le Show,” multiple outlets. Aug. 24: We went on Reddit to do an “AMA” or “Ask Me Anything.” Read it here. July 25: Facebook Live at NOLA.com. May 28: Tim Williamson, NOLA.com: “Last summer, I made a pledge to you that we would build a progressive, dynamic and forward-thinking media company that would serve the New Orleans community for generations to come,” writes Tim Williamson, president at NOLA Media Group, featuring the recent achievements of his staff, including our “Cracking the Code” partnership, as well as their partnership with The New York Times. How “Cracking the Code” works: Our work, spotlighted in the Advance Notice newsletter for Advance Digital publications (Q-and-A excerpted from in-house newsletter, reposted with permission). May 9: “Crowdsourcing may bring transparency to medical charges.” Trudy Lieberman, The Journal-Advocate in Sterling, Colo.; The Shelbyville Daily Union; The Kearney Hub and others. May 5: Here’s Lee Zurik of WVUE Fox 8 Live in a new installment of our Cracking the Code partnership in New Orleans. The topic: What happens when people don’t know prices in advance, and wind up with burdensome — or ruinous — bills. May 3: Lee Zurik: “‘Absolutely ridiculous’ medical bills show critical need for transparency.”. April 26: Jeanne Pinder on Pat Salber’s podcast at The Doctor Weighs In. April 5: Here’s Lee’s leadoff piece from the 10 o’clock news, and here’s his Facebook Live, certainly the best Facebook Live I have ever seen. Jed’s how-to: Find and share prices with our PriceCheck tool. “Hospitals Must Now Post Prices. But It May Take a Brain Surgeon to Decipher Them,” The New York Times. “10 Minute Explainer: How to Get the Best Price on Your Prescription Drugs,” Brian Lehrer Show, WNYC public radio. “Hospitals’ confusing online price lists give patients a headache,” CBS Evening News. “Are patients being misled as hospitals post medical costs as required by federal rule?” CBS This Morning. “The price you pay,” Stephanie Gosk, NBC Nightly News, Jan. 1 (our segment starts around 13:25 minutes in). “Dad travels to Canada for son’s medicine that would cost $53K in U.S.,” CBS This Morning. “Need hospital care or tests? Some ways to get cost estimates,” The Associated Press. “10 ways to get birth control on a budget,” College Magazine. “Website lets you compare prices for surgeries, procedures,” KPRC Click 2 Houston. “UPMC, website CEO agree: Hospital price list lacks value,” New Castle News. “ClearHealthCosts founder Jeanne Pinder seeks to unmask healthcare’s high costs with online PriceCheck tool,” Conversations on Health Care, CHCRadio. “New law requires hospitals to list prices for procedures. Critics say it’s no help,” The Orlando Sentinel. “Experts: Hospitals posting prices doesn’t help patients, adds to confusion,” The Toledo Blade. “New hospital pricing law not as helpful as hoped,” The Mankato Free Press. “Hospitals don’t have to wait to go further in helping their patients understand what care will cost,” UPI. “Chargemasters full of ‘medical gobbledygook,'” Traverse City Record-Eagle. “Transparency in health costs,” KNX Los Angeles Talk Radio. We come on around 25:01-29:35. “Online prices are more chaotic than helpful,” HealthImaging. “Comparing prices: Hospitals must now list prices,” KPRC Click2Houston. “Local health care economist and others react to a new rule for hospitals,” WVUE Fox 8 Live, New Orleans. “New rule forces hospitals to post prices for common procedures,” WOIO-TV, Cleveland. “Central VA hospitals post price lists before new rule begins,” WWNBC12 News, Richmond, Va.
“Reporters expose fraud and high costs in health care,” InvestigateTV, a partnership of Raycom Media and Investigative Reporters and Editors. “Price for Prevention,” Steve Tellier, WHDH 7 News Boston. “Asking these questions could save you thousands on medical care.” Misty Stiver and Tiffani Tucker, WOIO Cleveland 19 News. Entering business school history: We were featured in a case study in a business school curriculum devised by the Berkeley-Haas Case series. We can’t link because it’s a proprietary series, but the screenshots are here. Aug. 2: “6 Ways to Fix Mistakes on Your Medical Bills,” Consumer Reports. Aug. 1: “Under 1% of patients use this trick to save on medical bills-—I did, and I saved $400,” Ester Bloom, CNBC. June 25: “How to avoid hospital and medical price gouging,” ABC Action News, Tampa Bay. June 13: “Website Examines Medical Prices,” Jeanne Pinder, Journal of American Physicians and Surgeons. June 13: Medical Price Transparency Project Is Featured in Journal of American Physicians and Surgeons (AAPS). June 11: “Stories of health care sticker shock are everywhere. Will they change anything?” Kellie Schmitt, Center for Health Journalism, USC Annenberg. “‘Cracking the Code’ wins the national Public Service Award from the Society of Professional Journalists-Sigma Delta Chi,” WVUE Fox 8 Live, April 23. “‘Cracking the Code’ wins 3 regional Edward R. Murrow awards,” WVUE Fox 8 Live, April 25. “How paying your doctor in cash could save you money,” Consumer Reports, May 4. Featured speaker, Lown Institute conference, “Breaking the cycle of high cost and low value: America’s next health system,” April 9-10, Washington, D.C.
“Cracking the Code” and “Medical Waste” are a finalist in the prestigious Peabody Awards. More coverage here and here. “Cracking the Code” wins awards in Investigative/Public Service and Public Affairs categories at the Louisiana-Mississippi Associated Press Broadcasters and Media Editors awards ceremony. “Making health costs more transparent,” Data Driven Journalism. “Health costs vary widely: A Raycomm investigation.” NBC12 and multiple other locations. “Why it’s so hard to shop for health care.” Montana public radio. “Everyday heroes who bring healthcare to those in need,” including our C.E.O., Jeanne Pinder, O, the Oprah magazine. “Uncompromising journalism,” Denton Ketels, The Grinnell Magazine. Our “Cracking the Code” collaboration is named one of the year’s “notable collaborations” by Stefanie Murray at the Center for Cooperative Media at Montclair State University. Others: The Guardian, ProPublica, the Paradise Papers, the Midwest Center for Investigative Reporting. “Cracking the Code” wins an Emmy. “’The Internet hates secrets’: Clear Health Costs works with newsrooms to bring healthcare costs out of hiding,” Laura Hazard Owen, NiemanLab. “Health care costs: A problem hiding in plain sight,” Health News Review podcast. Interview with our partner Lee Zurik on Harry Shearer’s “Le Show,” multiple outlets. How Roe v. Wade affected abortion rates, TheLily.com (by The Washington Post). In the U.S. system, “all stakeholders are eager to increase their own profit,” Pinder said. Zeit Online. “Paying too much for health care? You may be able to reduce your expenses,” The Washington Post. “If John McCain were uninsured, his surgery could have cost $76,000,” Julia Belluz, Vox. “Why this patient refuses to pay a $323 hospital bill,” Beckers Hospital Review/Hospital CFO Report. 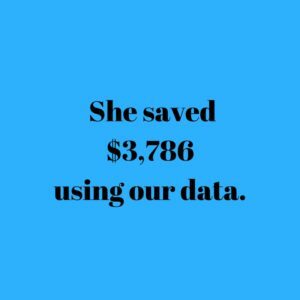 “Meet the TechLady who founded ClearHealthCosts,” TechLadies, Medium. “Patients should know prices beforehand,” Letter to the editor, Coloradoan. “First, ask your doctor for the specific medical code, called a CPT code, for the procedure or test that you need, says Jeanne Pinder, CEO of ClearHealthCosts, which aims to make medical prices more transparent,” Emily Bazar, ” How to Ease the Financial Pain of High-deductible Health Plans,” Kaiser Health News. “How to find and support trustworthy journalism,” Josh Stearns, Democracy Fund, on Medium. ““There’s no easy way to know prices, or to make smart decisions with your money and your health. We’re working to change that.” GotAGirlCrush.com, interview with Jeanne Pinder. PriceCheck: The Cost of Care in the Sunshine Economy, Tom Hudson, WLRN.com. “PriceCheck, a reporting project aimed at bringing clarity to the cost of health care in Florida,” How Much Does Health Care Really Cost? WUSF.com Public Media. “If you want your audience to talk with you, you have to give them a good reason,” Ariana Tobin, M.J. Bear fellows blog, Online News Association. “PriceCheck Florida: What’s It All About?” Health News Florida. “Department of Health Challenges Provider to Improve Billing,” Health News Florida. “Forum Explores Rising Prescription Drug Costs,” Julio Ochoa, WUSF.com. “5 Places Consumers Are Looking for Health Care Prices,” Becker’s Hospital Review. “People should know what things cost in health care,” said Jeanne Pinder. Price Check Resource to Help Floridians, WLRN.org. Jeanne Pinder is named a Tow Center for Digital Journalism fellow at Columbia University to co-author a guide to crowdsourcing with Jan Schaffer and Mimi Onuoha. The Tow Center for Digital Journalism at Columbia University publishes a “Guide to crowdsourcing” co-authored by Jeanne Pinder, Jan Schaffer and Mimi Onuoha, November 2015. PriceCheck wins the Society of Professional Journalists Northern California Journalism Innovation Award for KQED Public Radio journalists Lisa Aliferis and Lisa Pickoff-White. “There’s a really deep need for this information,” [Pinder] says. Anne Field, “Technology Whiz Kids Over 50,” AARP Bulletin. “In California, ClearHealthCosts has partnered with NPR radio stations in Los Angeles and San Francisco to create PriceCheck sites…” Emily Bazar, “How to price shop for medical treatment,” Fresno Bee (and others). “Now healthcare companies are publishing the prices of various procedures and tests. Online tools…like ClearHealthCosts.com, are searchable by zip code.” Leslie Goldman, “How (and When) to Get a Better Deal on Medical Care,” Oprah.com. “Efforts to inject greater price transparency into healthcare continue to gain momentum.” David Schleifer, AJMC. “Shopping around makes sense. Check out Clearhealthcosts.com.” Mandi Woodruff, “Money Minute: Can I really negotiate my doctor’s bills?,” Yahoo Finance. “Knowledge is power. Consumers are learning that they have options when it comes to health care.” Lola Butcher, “Six Things Consumers Will Know About You,” Hospitals and Health Networks. prices charged by specific providers,” Susan Gilbert, “How Much for That Stress Test?” The Hastings Center Report. “‘I don’t understand how we made a marketplace where everything defaults to secrecy,’ said Pinder.” TheStreet.com. “According to [the Robert Wood Johnson Foundation], its support is also intended to ‘help underwrite partnerships with other regional and national media efforts, such as NJ Spotlight and ClearHealthCosts.com. '” Paul M.J. Suchecki, “How RWJF Is Using Radio to Advance a ‘Culture of Health,’” Inside Philanthropy magazine. “‘There is something for everybody here. Even if we don’t happen to be in your metro area, we will give you some useful information,’ Pinder says.” Lisa Zamosky, “Shopping tools help patients find cash prices for medical procedures,” The Los Angeles Times. “‘We are journalists,’ Pinder said. ‘Our view is that if we make price transparent, then people will be able to make rational choices as they can in any other realm. '” Robert I. Field, “How much will my health care really cost? Now, you can find out,” The Philadelphia Inquirer. “It started when Jeanne Pinder spent a year dickering with her provider over a $1,419 hospital bill for an anti-nausea drug she found online for $2.49,” Judith Messina, “13 Lessons from Entrepreneurs,” Crain’s New York Business. “What many hospitals won’t tell you, Pinder says, is that a growing number of routine hospital procedures, including MRIs, mammograms, knee replacement surgery and hysterectomies, are ‘shop-able,’ giving consumers a chance to look for the best deal.” Daniel Goldstein, “10 Things Hospitals Won’t Tell You,” Marketwatch. “This new day of insurance with high deductibles, high copays and coinsurance might be nudging patients to look at price more carefully or at least ask about it.” Trudy Lieberman, “Thinking About Health,” Rural Health News Service. “We’d like to see all the prices public,” [Pinder] said. “The idea we have consumer-directed health care is a big fat joke if you don’t have a road map for costs.” Laura Ungar and Jayne O’Donnell, “Health care costs vary wildly, report shows,” The Courier-Journal and USA Today. 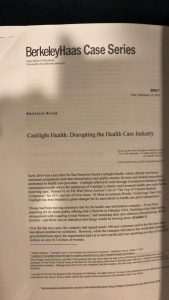 “Sites such as Clear Health Costs and Castlight Health prove what we long knew anecdotally: charges in the US vary vertiginously among different institutions,” Andy Oram, “Consumers Are Still Held Back From Making Rational Health Decisions,” EHR and EMR. “It’s an endless, frustrating system … But help is appearing in the form of an online crowdsourcing database for public reference.” Brad Broker, “Maybe the crowd can finally tell us the cost of a mammogram,” Physicians News. “…the PriceCheck project of KQED, KPCC, and the excellent ClearHealthCosts.com effort run by Jeanne Pinder,” Gary Schwitzer, Health News Review. 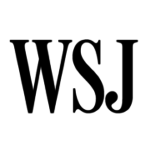 “Price transparency picks up speed,” Emily Newhook, Healthcare Finance News. 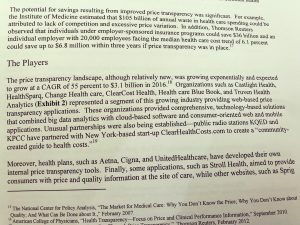 ClearHealthCosts is featured along with 13 other “exciting, effective and innovative” health cost transparency organizations, “Illuminating Health Care Prices: Organizations to Watch,” on the executive masters of health administration site at the Milken Institute School of Public Health at The George Washington University. PriceCheck cited in a Stanford Health-Anthem Blue Cross contract dispute. Lisa Aliferis, “Stanford Terminates Anthem’s Contract,” KQED public radio. “Downward price pressures mount for MRI,” Highlights in Radiology. “Thanks to your organization and what I learned on NPR, I will shop around next year and maybe just pay cash.” “Project crowdsourcing health costs finds partners in pubmedia,” Current.org. “Your source for health-care prices,” YourStory, Joel Gurin, 20 companies to watch in the world of data-driven healthcare. “Since the cost of a simple procedure like a pelvic ultrasound can vary from less than $100 to more than $600, do a price comparison at clearhealthcosts.com and insist on a fair amount,” Frank Lalli, “5 Ways to Net Medical Savings,” Parade magazine. “17 projects receive funding through the Knight Foundation Prototype Fund.” The John S. and James L. Knight Foundation blog. “Jeanne Pinder calls herself a warrior for health care transparency,” A battle against ‘secretive’ U.S. health care marketplace, BizWomen/The Business Journals. TedMed Great Challenges video: Our CEO, Jeanne Pinder, and others discuss cost and quality. “ClearHealthCosts warns that some experts suggest that 60% of hospital bills have an error in them, while others suggest that percentage to be much, much higher.” “California man posts hospital bill showing he was overcharged $45,000 for an appendectomy,” New York Daily News. “Here is some important advice from ClearHealthCosts,” “This $55,000 Bill Is The Perfect Example Of Our Broken Hospital System,” Business Insider. “Timely, accessible, affordable health care is a human right. We have failed to deliver that in this country, and it’s time to fix that.” – Jeanne Pinder, named one of 14 Disruptive Women to Watch in Healthcare. “‘This marketplace is broken,’ Pinder said. “Leading the fight against the $500 Tylenol,” WHYY news. “A New York consumer, for instance, might save a bundle … A cardio stress test costs $100 at one location in the Bronx, and $2,504 at another in Elmhurst, Queens.” “ClearHealthCosts Helps Customers …“, Fast Company. Jeanne Pinder in TedMed Great Challenges: Technology and Health Cost Transparency, TedMed, (53-min. video). “Websites like Health Care Bluebook, Fair Health and ClearHealthCosts use insurance databases and patient crowdsourcing to find the going rates in local areas.” “Good Deals on Pills? It’s Anyone’s Guess,” The New York Times. “For the best results, learn what doctors near you are charging for your procedure or service and ask your physician to match the lowest price. Start at ClearHealthCosts.com.” “RX for Savings: 8 Ways to Cut Health Costs,” Parade magazine. “This startup uses crowdsourcing along with old-fashioned research to compile actual data on how much certain healthcare procedures cost, and when available, how much insurers are paying.” “7 Sites to help you save big on your medical bills,” FoxBusiness.com. “But a new website — clearhealthcosts.com — is doing the work by collecting reported and crowdsourced self-pay prices on everything from dental fillings to vasectomies.” “Some NYers skimp, go abroad to save on health costs,” AM New York. “Some price information is already available … through websites such as Healthcarebluebook.com and Clearhealthcosts.com, which allow users to compare local rates….” “U.S. makes data available on wide disparity in hospital charges,” Reuters. “Why do birth-control costs vary so widely?” “Map Your Birth-Control Costs,” Jezebel.com. “In fact, one widely touted approach to controlling costs is to encourage patients to comparison shop. Several website now offer price data for some services. (See ClearHealthCosts and Healthcare Blue Book. )” “You Probably Have No Idea What Your Health Care Costs,” The Philadelphia Inquirer. “Comparison shopping in health care is still in its earliest days, but sites like … Clear Health Costs … are trying to give consumers more clarity into health care pricing.” — “In Health Care, Price Transparency Alone is Not Enough,” GigaOm. ClearHealthCosts “presents … sticker prices of various medical procedures, from blood tests to mammograms, and leaves the rest up to the consumer.” “Consumers May Draw Wrong Conclusions From Medical Prices,” Kaiser Health News. “If you’re paying out of pocket, that’s a whopping $1,445 savings to you. …If you’re paying most or all of your health costs out of pocket, ClearHealthCosts is a solid resource.” “ClearHealthCosts Sorts Out Bewildering Health Prices,” KQED Public Radio. “Internet entrepreneurs have moved to fill the need for comparative price information. … in what could be the start of a significant trend. Among them are Clear Health Costs …” “Health Care’s Top 10 for 2012, The Philadelphia Inquirer. “The ClearHealthCosts blog published a two-part piece on the variable costs of MRI tests. … This is helpful, albeit maddeningly frustrating. … What an important project ClearHealthCosts is.” Gary Schwitzer, “How much does an MRI cost?” Health News Review. “The budget wise can now comparison shop, something that used to be near-impossible to do with healthcare,” “How to alleviate health-care costs,” PCMag. “Medicine’s Kayak.com? ClearHealthCosts checks healthcare costs for medical procedures,” MedCity News. “The ClearHealthCosts concept of ‘democratizing’ health information … offers an exciting glimpse of a less ‘opaque’ future of health care.” “Getting to the Bottom of Your Bills: Jeanne Pinder of ClearHealthCosts,” The Daily Muse. “New Crowdsourcing Platform Can Save You Money on Medical Bills,” IdeaConnection. ClearHealthCosts is “a noble and important undertaking.” “New York Revs Its Startup Engine,” Forbes.com. “ClearHealthCosts Wants to Save you from Medical Sticker Shock,” The New York Observer. Our New York Tech Meetup demo, in MLB video, Sept. 11, 2012. We start about min. 13:40-18:00, then Q/A 23:00-30:00. Wahoo! “Our Favorite Startups From Women’s Demo Night, Hosted by New York Tech Meetup and Change the Ratio,” EBetaBeat, The New York Observer. TV interview on BrianLehrer.TV, Brian Lehrer, June 26, 2012 (we come on about 35 minutes in, for about 10 minutes). Leaving the Newsroom to Launch Online Startups, American Journalism Review. “$56,000 Awarded to Four Women-Led News Projects,” McCormick Foundation New Media Women Entrepreneurs award announcement, via J-Lab at American University. Our favorite things: The Rachel Maddow Blog: Mapping the Cost of Birth Control, Aug. 2, 2011, Rachel Maddow show. “ClearHealthCosts.com: Guiding consumers through the health-care marketplace,” CJR’s Guide to Online News Startups, Columbia Journalism Review. Meet IWMF’s Global Digital News Frontier Grant Winners, announcement of Global Digital News Frontier Grant from the International Women’s Media Foundation via the Ford Foundation, March 2011. Judges Hand Out $40,000 in Seed Money to Launch Journalistic Ventures, CUNY Graduate School of Journalism blog, Dec. 14, 2010.